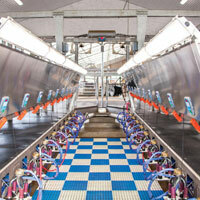 E-Zee Milking Equipment, LLC specializes in new replacement parts and refurbished equipment for the dairy industry. We carry a large variety of equipment such as claws, milk hose, stainless steel fittings, portable milkers, takeoffs, receiver groups, vacuum pumps, parlors, and much more. 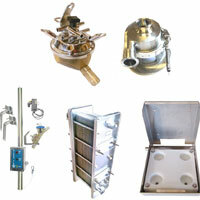 We manufacture and assemble a lot of our own equipment and parts. We are the North American distributor for the NuPulse brand equipment. E-Zee Milking Equipment, LLC is an American owned company with warehouses in Gordonville, PA and McFarland, WI. We are a wholesale distributor and sell our products through a network of dealers all over the world. We offer a large variety of replacement parts. With our three injection mold machines, two CNC lathes, and welding capabilities, we are able to make and control a lot of our own equipment to provide quality products. Our goal is to provide our dealers with a simple and easy, complete parlor package. Our parlors and chutes are made locally with the quality being second to none. We have many different styles and options. 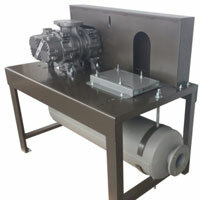 With our full line of vacuum pumps and equipment, we can offer you what you need without having to look elsewhere. We have new and used, vane and lobe pumps along with the capabilities of rebuilding most vacuum pumps out on the market today.